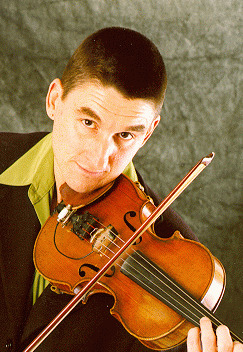 Mark Russell is a violinist, composer, and teacher. He began studying violin at the Victorian College of the Arts in Melbourne, Australia. In his late teens, he became interested in Jazz, Blues and traditional music from Ireland and Australia. Joining The Sundowners in 1983, he toured extensively around the world, and began to incorporate musical styles from India, China, and Indonesia into his compositions and improvisations. He performed in front of stadium crowds with The Sundowners during a 3 month tour as opening act for Dire Straits in 1986. Meanwhile, his interest in Jazz and Blues continued to grow through direct contact with artists such as Stephane Grappelli and Brownie Macgee. 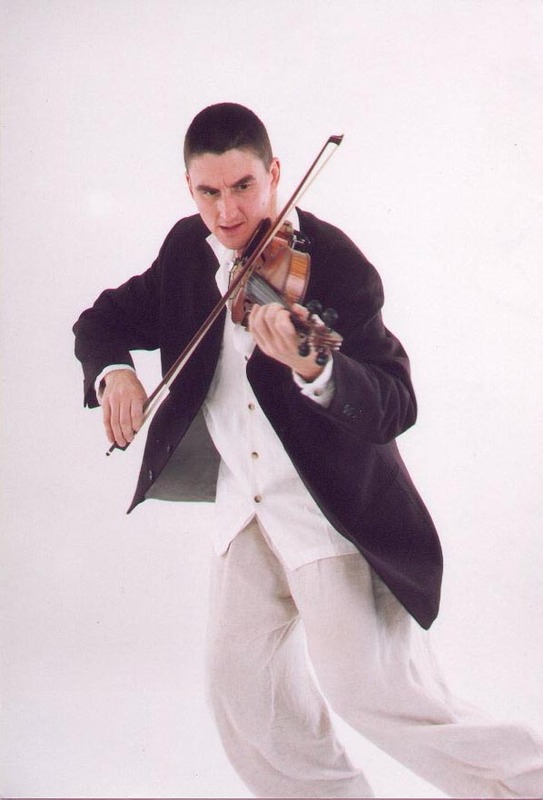 In 1991 he left The Sundowners and moved to Paris, where he continued to explore diverse venues for violin performance in theater as well as clubs. Moving to the United States in 1994, he formed the groups Paris Match, and Ekyo, recording cds with both. He also toured as featured artist with the Phat Cat, a Soul/R&B group. Highlights include concerts at The House of Blues in New Orleans and in Chicago, the Capitol Jazz festival in Washington D.C., and on The Tom Joyner Fantastic Voyage. His Phat Cat backed performance of Ain't no Sunshine was an R&B hit in 2000 and was recently included on the Atlantic records compilation Rare Requests. In addition to live performance, Russell has become increasingly involved with studio work, performance art, and film music. In 1999 he produced a cd of unaccompanied solo improvisations, and with Ekyo, Earth Music a cd of compositions and improvisations for violin, didgeridoo and percussion. In 2001 he was invited to perform at the Max-Planck-Institut in Bonn, Germany, and at the Centre International de Rencontres Mathématiques in Luminy, France. For these performances he conceived an ongoing project to express the process of mathematical discovery through music. He plans to produce a cd based on this concept. Also that year he appeared with mime theater group Odoroka in a special performance for the delegates of the U.N. International Conference for the Enviroment in Bonn, Germany. He recorded music for the Victor Nunez film Coastlines, which premiered at the 2002 Sundance Film Festival, and composed and performed music for the short film Reflections produced by Danish artist Mikkel Urup .